PRESIDENT Emmerson Mnangagwa’s spokesperson yesterday said the leader of the mainstream opposition MDC Nelson Chamisa “risked missing the bus” if he failed to pitch up for talks. This comes as under-fire Mnangagwa is breaking new ground in his response to the worsening crisis in Zimbabwe by opening talks with opposition groups, as authorities begin to show more urgency about ending Zimbabwe’s decades-long political and economic mess. Chamisa snubbed Mnangagwa’s talks-about-talks gathering at State House on Wednesday because he preferred the much-talked about national dialogue to be held under the guidance of an impartial convener. Among the notable opposition politicians who attended Wednesday’s indaba were Thokozani Khupe, Nkosana Moyo, Lovemore Madhuku, Daniel Shumba, Elton Mangoma, Ambrose Mutinhiri and Bryn Mteki. “As far as we are concerned, the question to us is, firstly, was that decision taken by Chamisa thoughtful and secondly whether it was independent? I would say it was thoughtless, the dialogue will proceed with or without him, except we don’t shut doors, we don’t shut windows, whenever he feels he wants to join, he will still be welcome, except he cannot hold the nation to ransom because he is not the summation of the nation. “If he is having difficulties with his external constituency, which as of yesterday (Wednesday) had not given him the nod to participate, that is a matter for him and his donors to deal with. He should never globalise his predicament because the economy has to move on,” said Charamba. In his letter to the chief secretary to the President and Cabinet, Misheck Sibanda, Chamisa’s chief of staff, Sesel Zvidzai, said the MDC’s position is that the dialogue process must be convened by an independent mediator and not one of the disputants. “In this respect, the MDC believes that genuine dialogue can only take place if regionally facilitated and mediated by Sadc and guaranteed by the AU and the UN,” the MDC letter to Mnangagwa said. Charamba said dialogue does not mean assimilation of the opposition by Zanu PF but rather will enhance cooperation among parties. “I am raising this issue because I notice Chamisa has raised it, there is no implication at all that the President is the convener, no he isn’t or that Justice Sello Nare, head of the National Peace and Reconciliation Commission is or isn’t the convener, we don’t know yet. It is a matter that has to be resolved by the political parties, but the key issue is that they have put up mechanisms for resolving that issue,” he said. Charamba said the ongoing talks among political parties should be managed locally, and ruled out any prospects of engaging foreigners to mediate the talks. 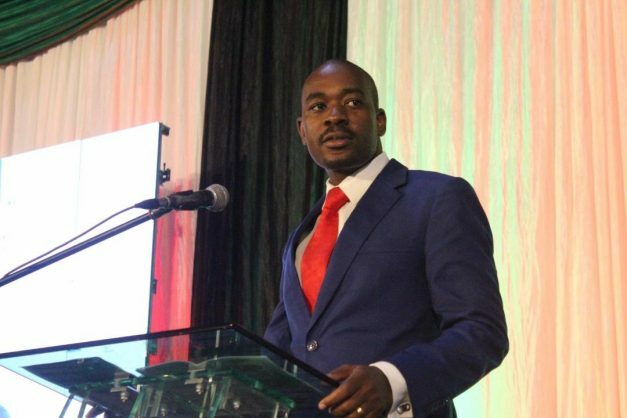 Chamisa yesterday also exhorted the Church to mediate in the talks at a prayer meeting convened by the Zimbabwe Council of Churches held at a Harare hotel. “Firstly, there was unanimity that national dialogue was important, so the principle of national dialogue was embraced; this is a national dialogue which should be a local affair under local management. Chamisa also spelt out 10 issues that Mnangagwa needed to meet before any meaningful dialogue could take place — including a requirement that all “prisoners of conscience” be freed, and that there be an immediate return to the barracks by the military. Conceding that some of the country’s internal challenges give foreign nations, specifically the West, reason to maintain sanctions on Zimbabwe, Charamba indicated that the Mnangagwa government is now ready to amend some problematic laws and also to clean its battered human rights record. “There was unanimity that sanctions are hurting Zimbabwe and that they must be a joint approach to tackling them, but they was a very interesting debate because people were saying, and this was Daniel Shumba (leader of the United Democratic Alliance), he said that some of the issues that are being used as a pretext by those who imposed sanctions on us are things we must correct ourselves, the negative laws, the human rights issues in the country, the recent deployment of the military and how they conducted themselves as alleged by many players, and he was very emotional about it,” Charamba told the Daily News. “Those things must be out of the way so that we can make a united message against the sanctions. Nkosana Moyo (leader of the Alliance for People Agenda) put it in typical business language, he said we must have to make product locally and take it to the outside world that imposed sanctions, and that point was conceded. “There has been a question on who deployed the soldiers? Essentially, there is an attempt by the opposition to deploy the military, short of declaring yourself a commander-in-chief. How do you tell the military to go back to the barracks? It means you have de facto powers and are the commander-in-chief. “The decision to roll back the security forces is based on the question of national security, it is not predicated by one political party and they must accept that by virtue that we are the Executive, we have a broader understanding of the national security situation. “Forces cannot be deployed perpetually, its very costly to keep a soldier on the street. So, really, from the point of view of managing the budget, it is not desirable for us, but at the same time, we also know the price of losing peace. “But, in any case, you can see there is a visible decline in the number of soldiers that are on the streets, so there is a process that is underway, except it has to be scientific and it has to be predicated on a realistic assessment of the security situation. We don’t want any regression to what happened three or four weeks ago,” said Charamba. On the demand by Chamisa to release “prisoners of conscience”, Charamba said government respects the separation of powers principle and the executive will not dictate terms to the judiciary. “From our perspective, they are not prisoners of conscience, they are not even political prisoners, it is a very strange contradiction. At one point, he calls them Zimbabwe Congress of Trade Union members, now he is calling them prisoners of conscience, from a union?